If you haven’t listened to my most recent podcast about the very serious crisis ahead, please be sure to do that. 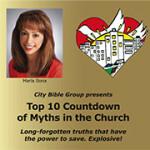 You’ll better understand the sense of urgency around leaving the city as soon as possible. For many of us leaving the city may seem to be an impossible dream. Family ties and responsibilities, debt, career, lack of funds or country living skills all appear daunting. That’s why I found this short video to be encouraging and refreshing. 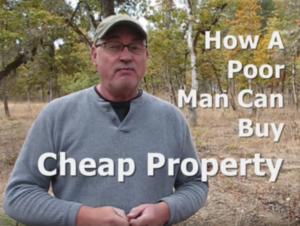 This man explains a number of tactics he used in order to secure a fair-sized piece of land and build a home on very little money. How much more will the children of God be able to find a place in the country if they pray to their heavenly Father? After watching this video I discovered a number of other YouTube testimonies where people share their success stories of how they were able to acquire a country home with very little money. Things will get very rough in the city when they’re surrounded, in the same way as the Roman armies compassed Jerusalem in 70 AD. Jesus’ prophecy in Matthew 24 about the destruction of Jerusalem is a dual fulfillment prophecy that will soon be fulfilled a second time. As Jerusalem was the capital of the nation of Israel, so the US is the “capital” of global spiritual Israel. 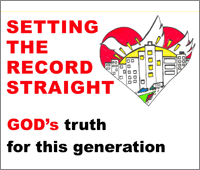 The US will suffer the same type of judgments for transgression of God’s law as Israel did. Don’t wait any longer. Take heart. Step out in faith, one step at a time. Pray fervently and believe that if you move, God will prepare a place for you.